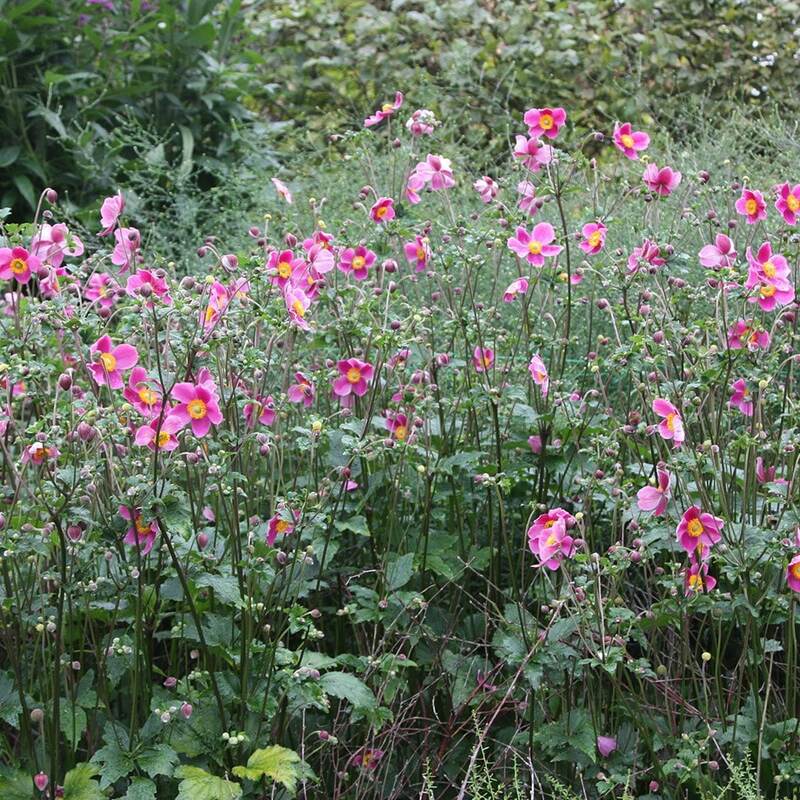 As the name suggests, Hadspen Abundance is very free-flowering and keeps on producing masses of cup-shaped, deep pink, semi-double flowers with reddish-pink outer petals from July through to September. 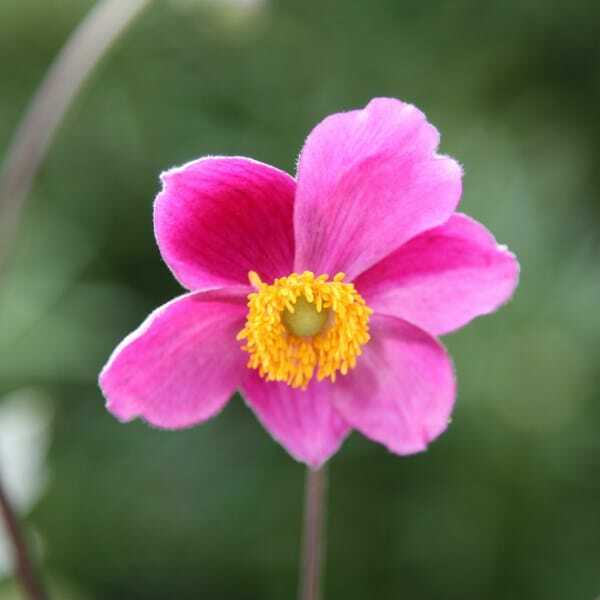 A fabulous plant for adding late summer colour to the garden, this anemone will also grow in sun or shade. The leaves are semi-evergreen and deeply cut and bring interesting texture to a herbaceous border. 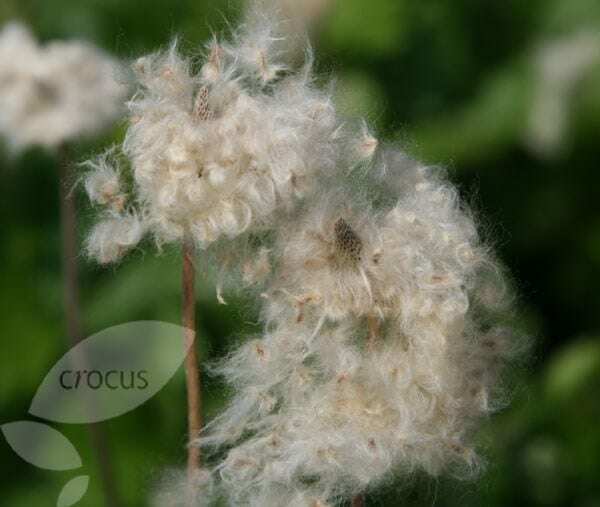 It is clump-forming and looks good with most late-flowering plants, especially if it is allowed to spread gently among perennials and shrubs. Garden care: Cut back the stalks after after the flowers have faded, and tidy up old dead leaves in March, then mulch well. Avoid moving the plant since it resents disturbance. Where necessary lift and divide congested clumps in autumn or early spring. Kept flowering all through winter! Hardy plant that amazingly kept flowering throughout winter! lovely plant in a wildlife garden, with other anemones, free flowering , medium height. I have a very similar NE facing garden to Josee who asked a question here. I also love the shady pink design and adapted it slightly to suit my space. However, my question is about the Anemone Hadspen Abundance. It's planted in partial shade with sun for some of the time. It's in humus rich soil but although the leaves look healthy enough, it's sent up no flower shoots at all. This is its first year in my garden, so I don't know whether it's just settling in and will bloom next year, or whether, in fact it actually needs more sun (or less!). (The clematis "Freckles" which is planted near it is blooming away now although it's supposed to flower in February and the rose "Princess Alexandra of Kent" which is also near the Anemone is still throwing up buds and blooming happily - I tell you this so as to give an indication that other plants are doing both well - and strangely!). Please tell me if you think I should a) move it or b) wait until next year to see what it will do?